Previous: Is Facebook really worth $100 billion?Blog indexNext: Tacky Christmas, everyone! 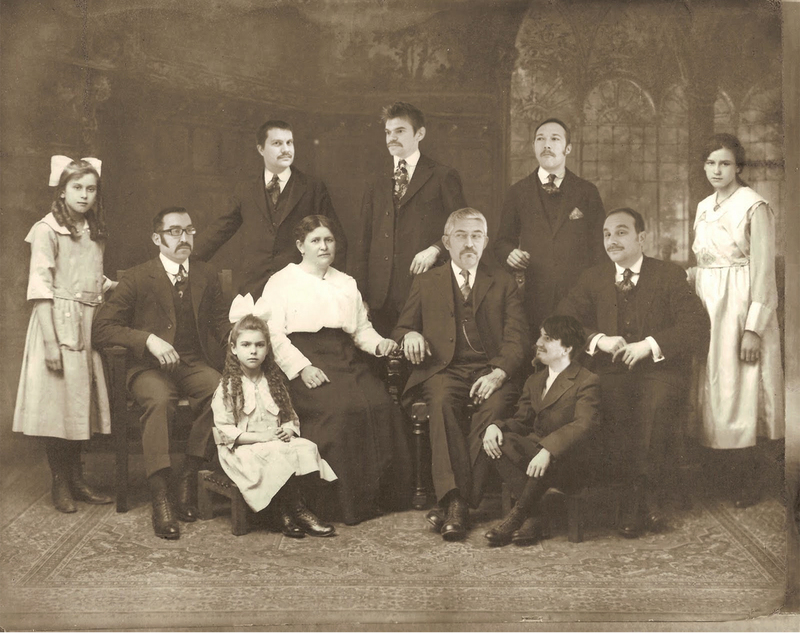 Sporting a rather fine collection of moustaches, this Edwardian family picture wouldn’t look out of place on the Antiques Roadshow. It is, however, a rather clever ‘Movember’ fake. Further’s esteemed gentlemen agreed to snub the razor for Movember – the annual moustache-growing effort that raises money to help fight prostate cancer. To mark the final day of their facial-hair frenzy, our Further lads lined up for a team photo and our very own Zak Ireson used his skills in Photoshop to create this fabulous snap. Mark, Rob, Colin, John, Joe, Phil and Wes might have ended up looking silly, but we salute our team of ‘mo bros’ for showing their charitable side. In total they raised over £570, with money still coming in. Congratulations, chaps. Jolly good show!